These dolls comes packed in a gift box, with a certificate of authenticity. Our exclusive line of new Porcelain Dolls. 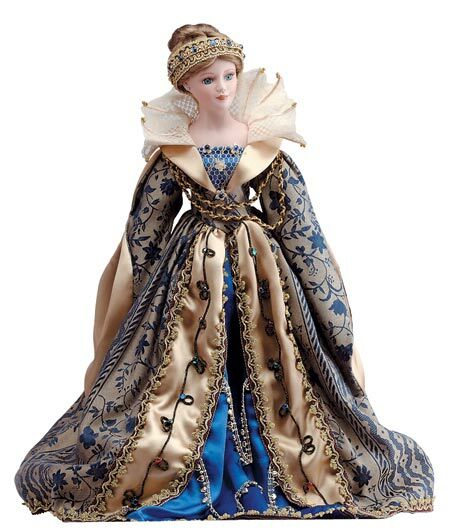 Each doll is the product of the creative talents of artisians who design and hand-make each doll with specific attention to costume and hair style details. 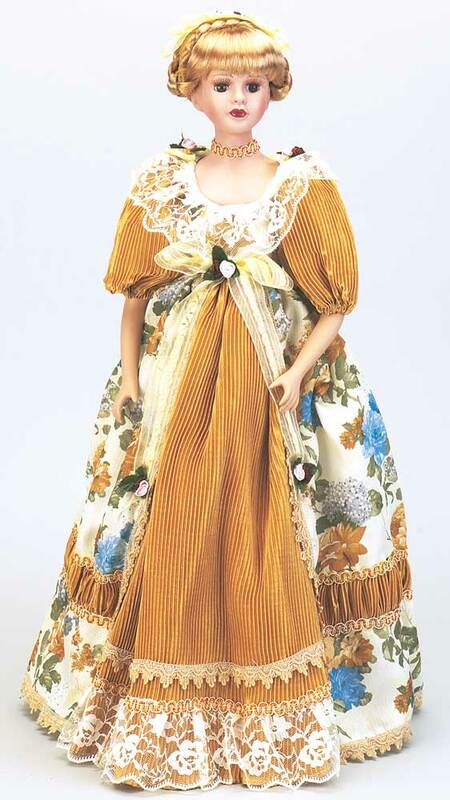 These dolls have costumes of silk, satin, cotton, velvet, and laces. 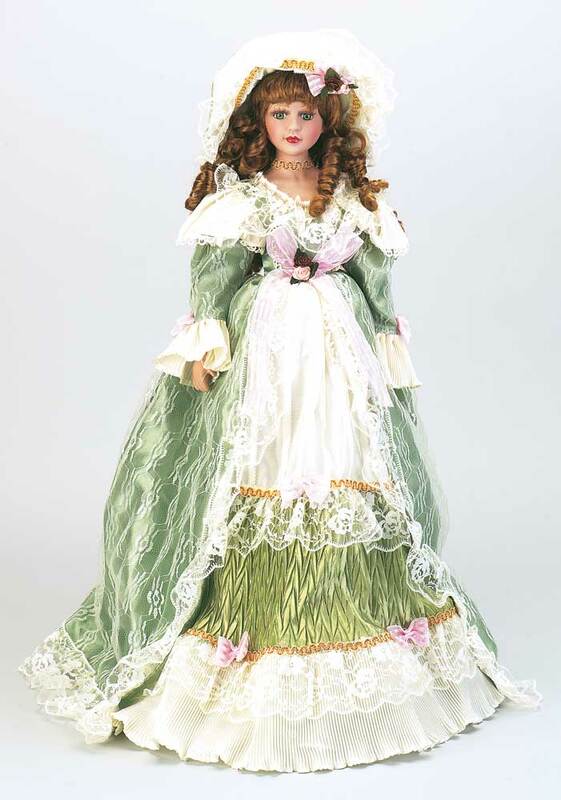 Hair styles for these dolls are made from a blend of pure silk and polyester. The eyes are individually inserted into each doll face and are made of crystal acrylic which give a sense of depth and realistic facial expressions, and doll eyes have individual eye lashes. Bodies are fiber-filled and faces, legs/feet, and arms/hands are made from fine quality porcelain. Shipping for U.S. buyers is $10.00 for the first doll and $6.00 for each additional one. 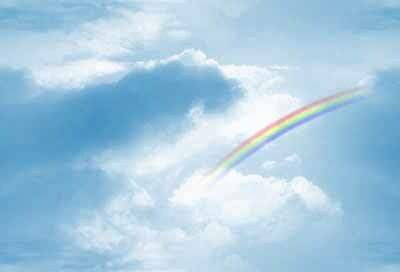 Shipping for Canadian buyers is $14.00 for the first one, and $7.00 for each additional one after that! Save 50% off shipping charges by buying multiple dolls! 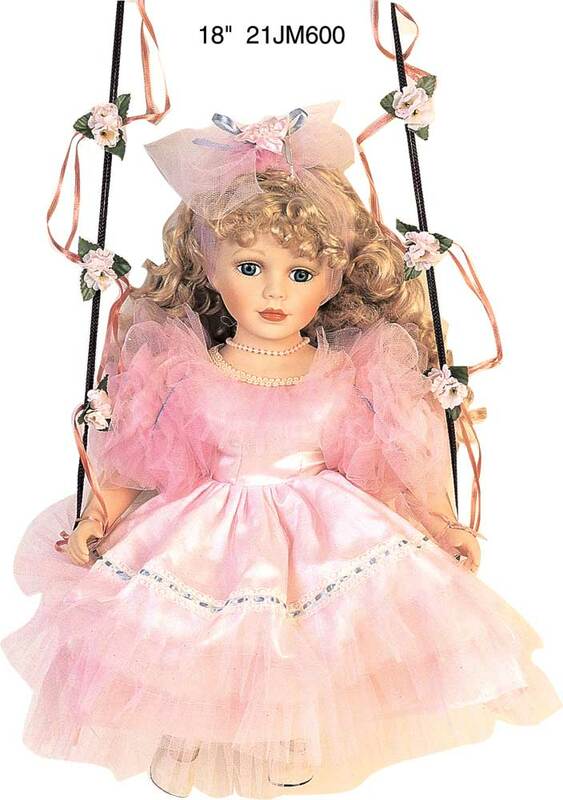 18" Pink Porcelain Doll Swing . This doll belongs to internationally known DANEA collection. The doll comes packed in a gift box, with a certificate of authenticity. 18" TALL!! "Camille" is a vision in lace, her straw hat adorned with feathers and held on by a chiffon tie. Roses and faux pearls add to her beauty, 18" tall. 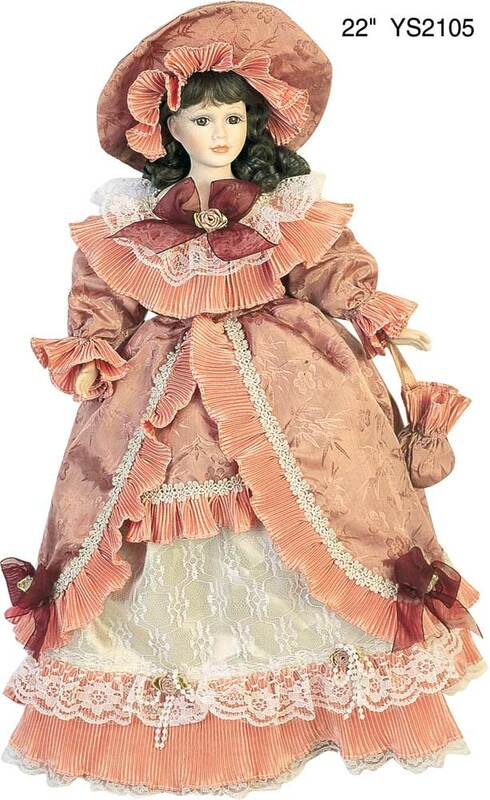 18" Very Original Porcelain Doll. This doll belongs to internationally known DANEA collection. 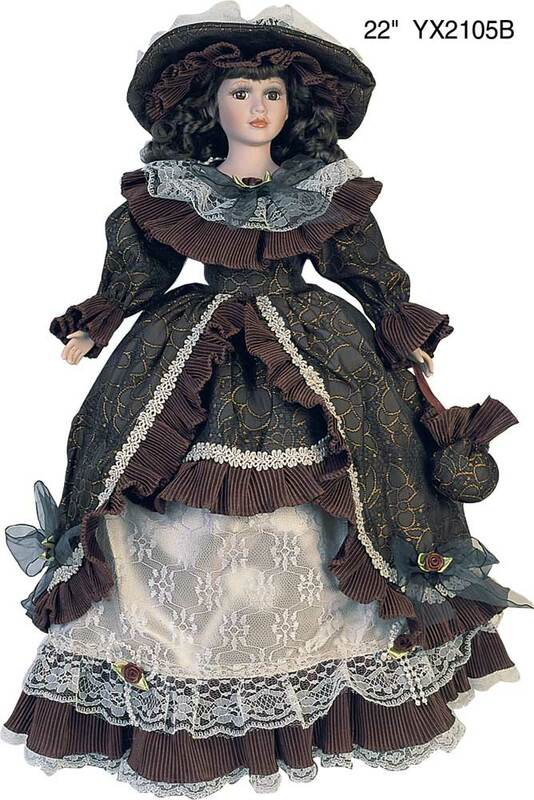 The doll comes packed in a gift box, with a certificate of authenticity, 18" TALL!! 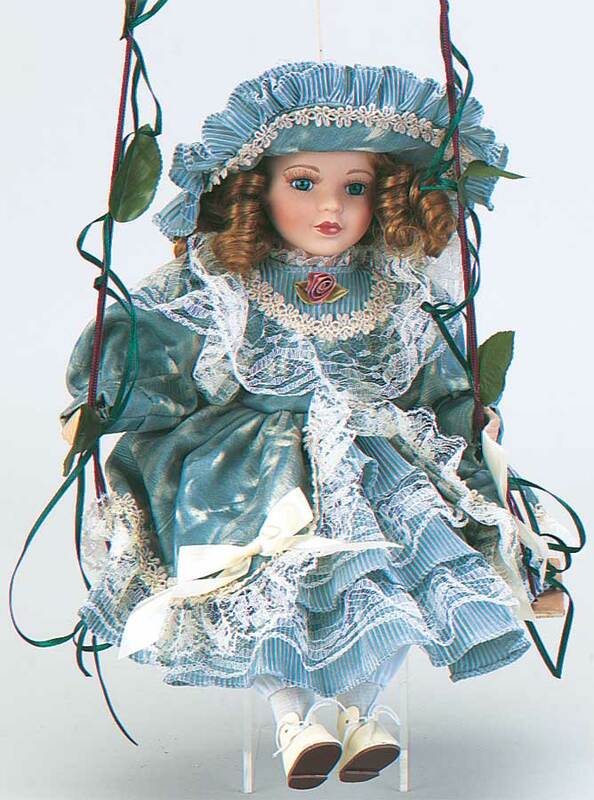 16" Elsie swing DANEA Porcelain Doll. Very Original Porcelain Doll. This doll belongs to internationally known DANEA collection. 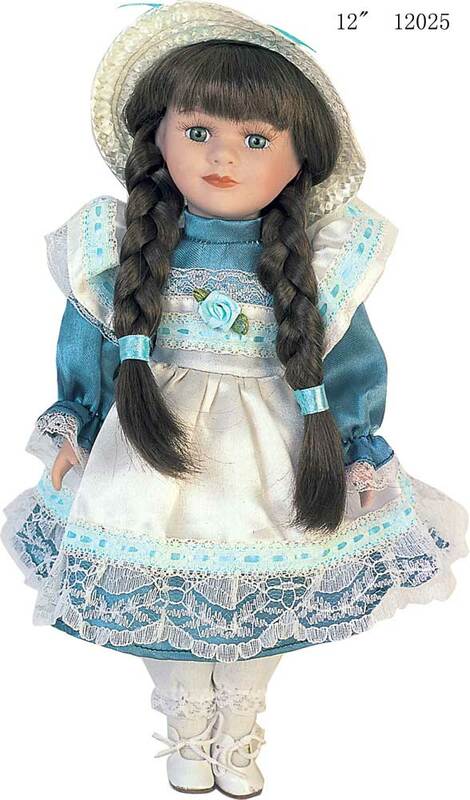 The doll comes packed in a gift box, with a certificate of authenticity, 16" TALL!! 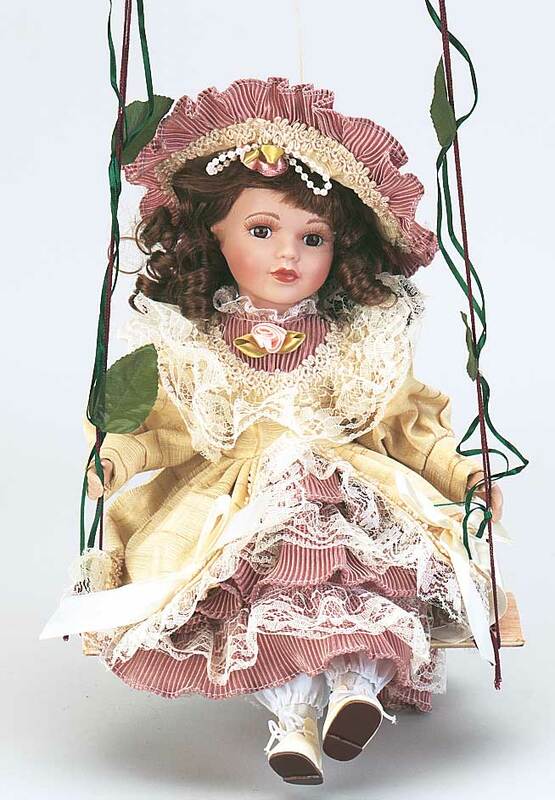 22" Brown Porcelain Doll. This doll belongs to internationally known DANEA collection. The doll comes packed in a gift box, with a certificate of authenticity. 22" TALL! 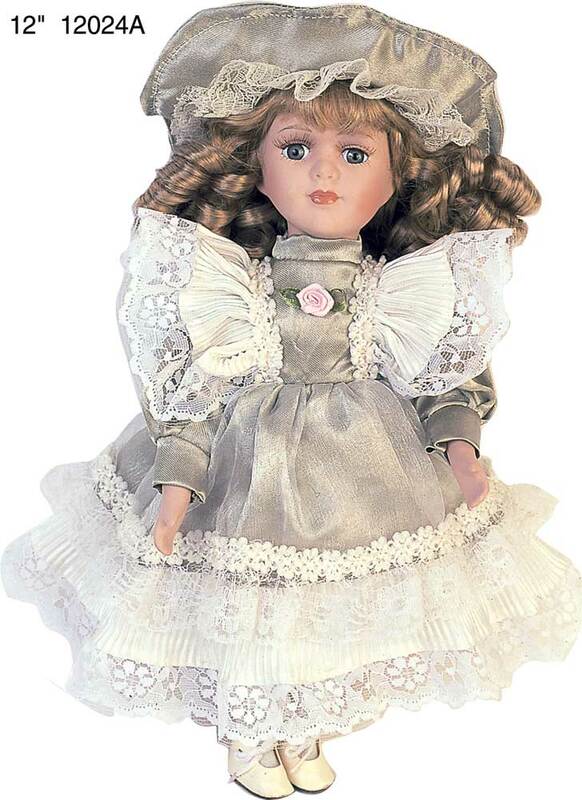 24" White Awesom Porcelain Doll. This doll belongs to internationally known DANEA collection. The doll comes packed in a gift box, with a certificate of authenticity, 24" TALL!! 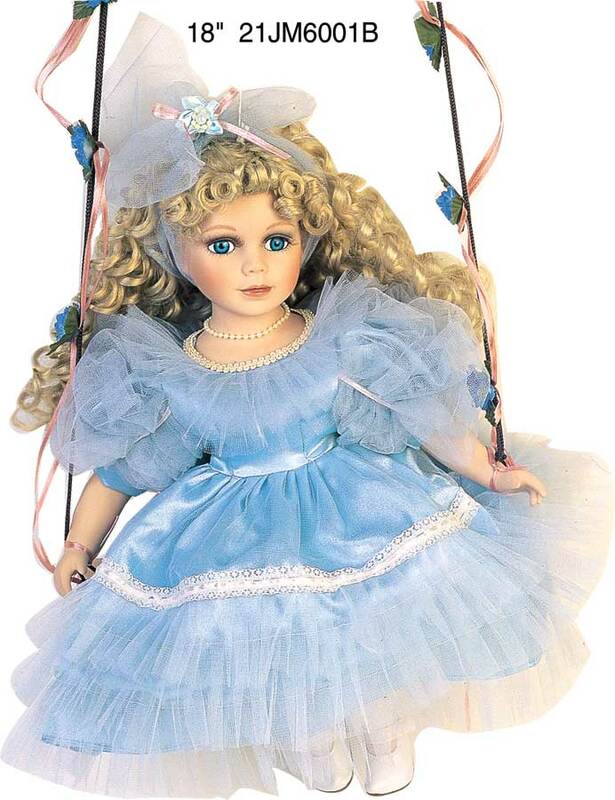 22" Beauty Victoria Porcelain Doll DANEA. This doll belongs to internationally known DANEA collection. The doll comes packed in a gift box, with a certificate of authenticity, 22" TALL!! 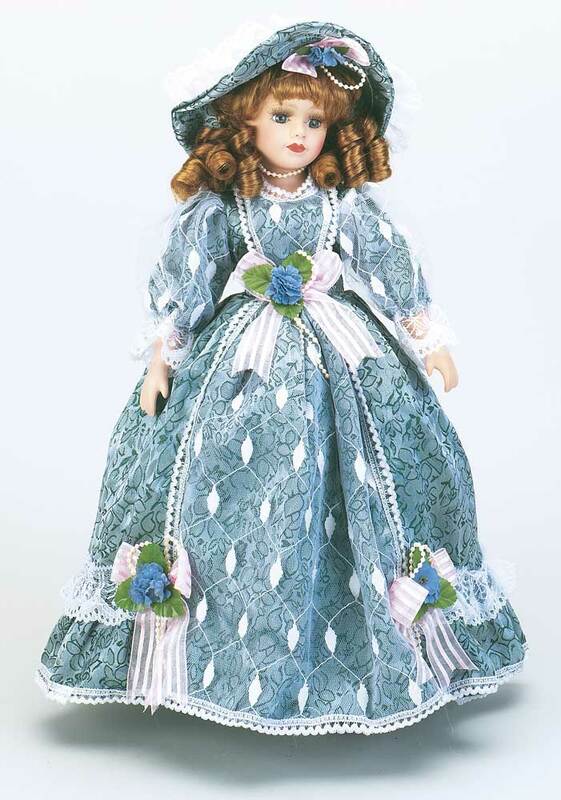 22" Victoria Porcelain Doll. This doll belongs to internationally known DANEA collection. 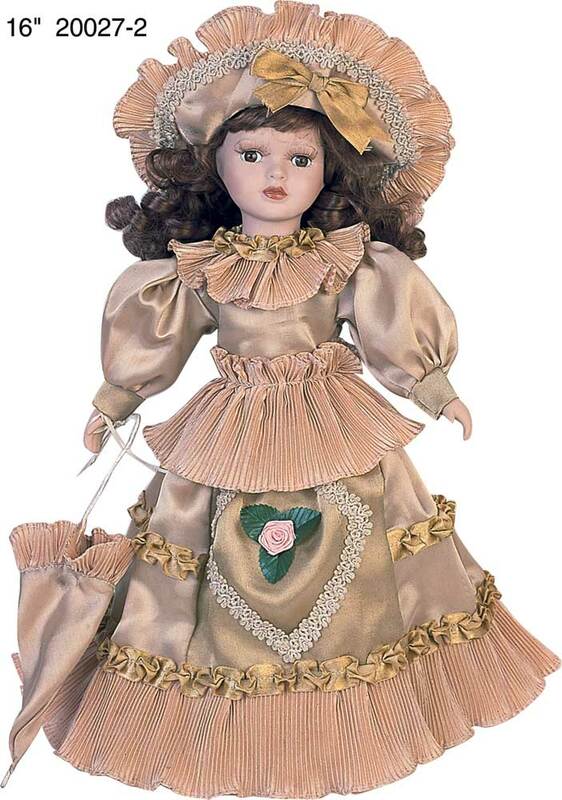 The doll comes packed in a gift box, with a certificate of authenticity, 22" TALL!!. 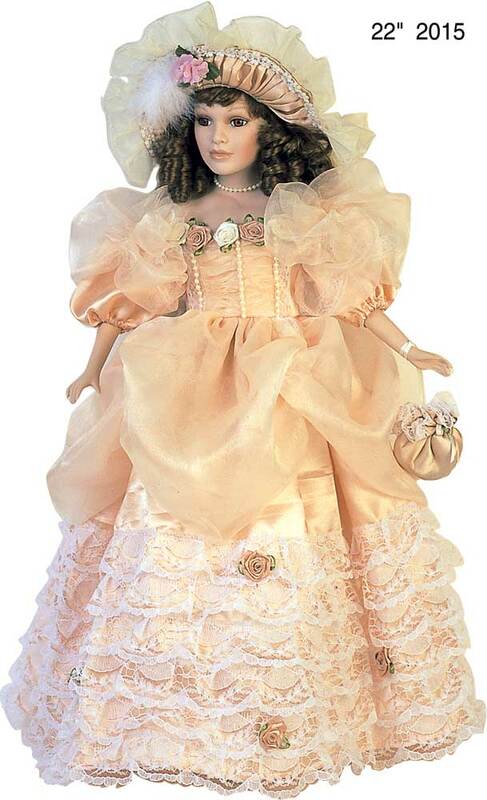 22" Red Victoria Porcelain Doll DANEA. PORCELAIN DOLL. This doll belongs to internationally known DANEA collection. 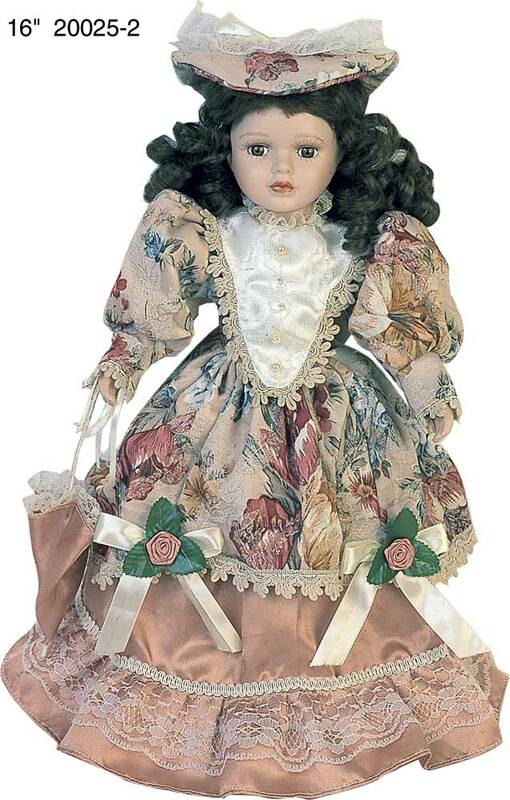 The doll comes packed in a gift box, with a certificate of authenticity, 22" TALL! !